I have a fairly large foyer that I have always struggled with a bit. It is about 6′ x 8′ so it is large, although not as large as some. It is two stories high and beautiful! 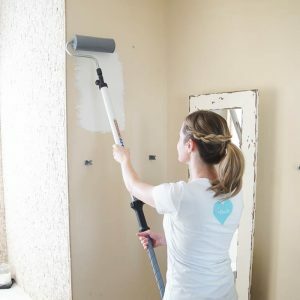 But between the stairs and the french doors into the playroom / going-to-be-office-one-day, there isn’t a lot of space for decorating! It is perfect though for when we have lots of company over! Many people can walk in and get their shoes off without being too crowded. But with our new Laminate Wood Floors and lots of snow this winter, we realized that we needed a better rug solution then our dinky 2′ x 3′ rug. We needed a rug large enough to protect our floors, yet I still insisted on having something pretty! I found this rug at RugsUSA. They have a huge selection of stylish, trendy and traditional rugs in every color and style imaginable! And when they offered to send me a rug to review for my front entrance that so badly needed one, I couldn’t wait to choose one out! The only problem is that I am kind of indecisive, and I worry a lot about decisions like this (I know, a rug is not permanent!) So together, my husband and I found the perfect rug for our front entrance! 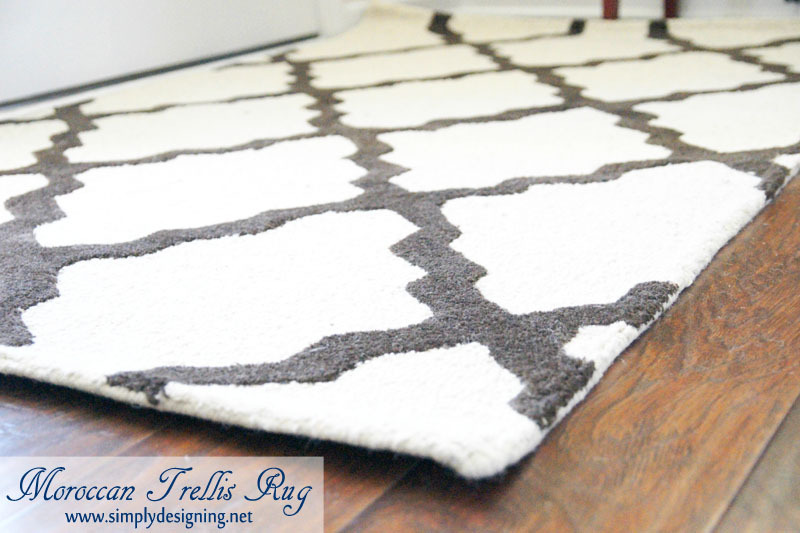 The rug we chose is their Homespun Moroccan Trellis Beige, 3.5′ x 5.5′. 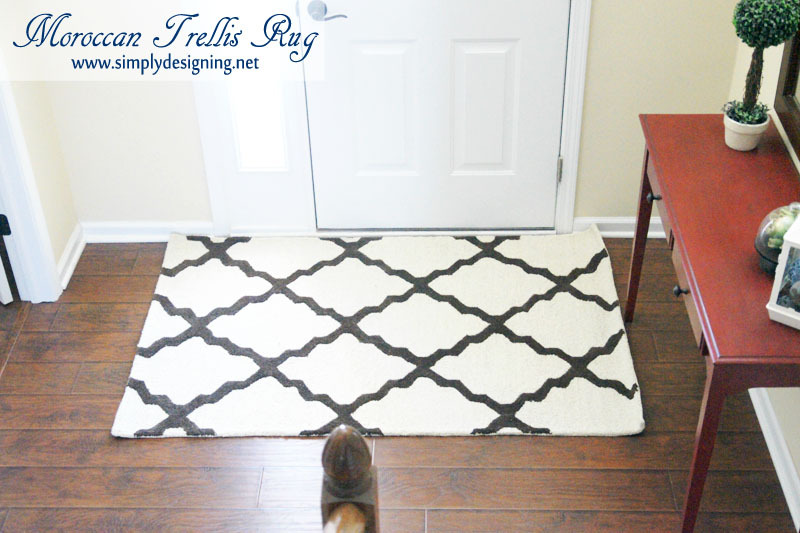 It is the perfect size rug for our entryway! It allows enough room for someone to come into my house, close the door and take their shoes off without stepping onto my wood floors! It is perfect! I love that it is light, but it still hides dirt well! We have had the worst snowy icy weather and have had many people in our home and this rug doesn’t have a noticeable spot on it yet! I think the pattern is fun without being too trendy and I think I will really love this rug for a long time. I love the pretty neutral colors in it. 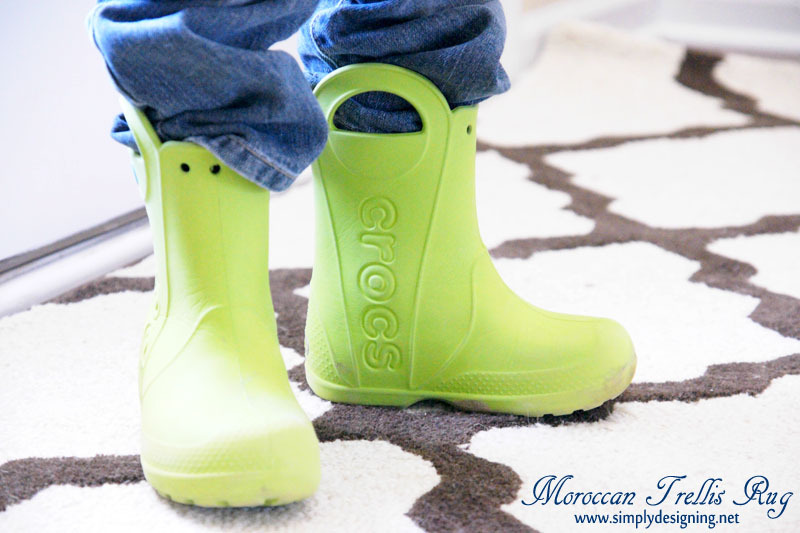 I even managed to get my son to come model with his cute bright green boots! If you follow me on Instagram though, you may have seen the photo I posted with him being super silly though. My son gets in front of a camera and he is such a little ham! Be sure to head over to Instagram and Follow Me so you don’t miss out! And be sure to follow RugsUSA on Instagram too! I love the texture of this rug. It is thick and soft. And as my husband puts it, it is NOT grandma-ish. It has looped areas and tufted areas, but is very modern in style. Which we both love! I will definitely be shopping at RugsUSA again. In fact I will be starting to look for an office rug soon and RugsUSA will be the first place I look! They were so kind and helpful and their shipping was fast! 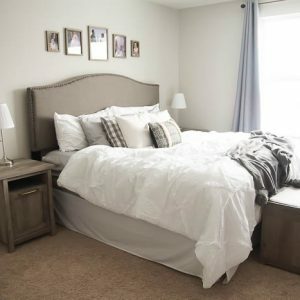 The rug is great quality and I know it will last a long time in my home! I am so excited about my new addition to my front entrance! I feel like my home is finally starting to come together! A big hug thank you to RugsUSA for sending me this rug to review! All opinions are mine.